Most pimples and acne resolves spontaneously after puberty, but there are still people (usually women) who have acne as adults. Many adults do develop very mild and isolated outbreak of pimples but are not permanent in nature. Why do you need professional treatment? Non-inflammatory and mild inflammatory acne usually heal without scarring but moderate to severe inflammatory acne often leave scars, pigmentation or pitting lesions. The sooner you see your skin doctor, the less chance you will have of getting these complications. Treatment of acne involves a combination of topical and oral medication directed at reducing sebum production, inflammation and bacterial counts. The patient must also be prepared to have lifestyle & diet modifications as well as perform regular cleansing regime. Adherence to the treatment plan and regular maintenance follow-up with the doctor is important for success. Remember that acne cannot be completely cured so it is important to have regular follow-up. The oral medication is strong and has side-effects. You need to see your doctor to plan your treatment and maintenance regime for the best outcome for moderate to severe acne. The earlier you seek treatment, the less risk of getting acne scarring and skin pigmentation or pitting associated with acne. Acne is so common that it is affects almost all of us at least once in our life especially on our face. About half of us will experienced acne on our back while acne on the chest and scalp is not so common (around 10-15%). In the early stage, a blocked gland due to plugged congealed oil or skin cells results in a whitehead. When this oil plug gets exposed to air, it becomes darker into brown or black, hence the term blackhead. Both whitehead and blackhead are non-inflammatory and not painful. A pimple forms when bacteria gets inside (due to poor hygiene or using fingers to pick the pimple) resulting in inflammation and swelling. Acne typically appears on your face, forehead and nose (the typical T-zone). It can also occur on the chest, upper back and shoulders as well as the scalp. Acne is a pain, both figuratively and literally. Using cosmetics merely covers the problem, but doesn’t solve it. In fact, some makeup products contain chemicals that could make your pimple problems worse. The skin products that are said to be super effective aren’t wallet-friendly too. 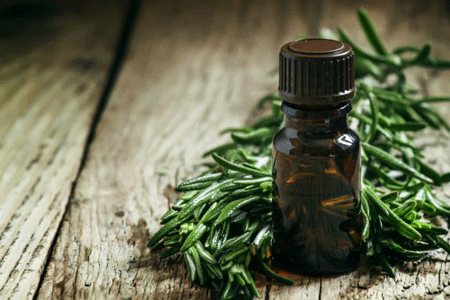 Tea tree oil is known for its antibacterial properties. You can find these in any pharmacy and they are not too expensive. It helps kill the bacteria present on your skin and even helps soothe it. Just put one or two drops of it on a cotton bud and apply directly on the acne area before you sleep. It may not work as fast as the other skincare products in the market, but it’s known to have fewer side effects. Rich in protein, egg whites can help you get rid of pimples and even regenerate damaged skin cells. They also help absorb excess sebum, which prevents pimples from forming as a result of bacteria feeding on it. Whisk two to three egg whites till they become frothy. Apply it on your face and leave it for 20 minutes. Then wash it off with warm water. 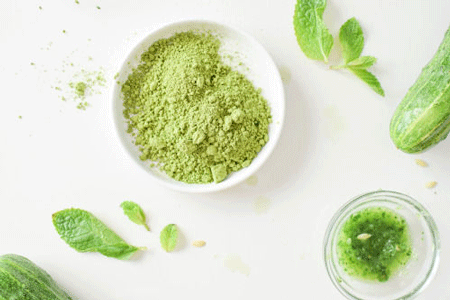 Matcha fans rejoice! Your favourite drink and flavour could actually be your skin’s protector too. It’s known for being an antioxidant and possesses anti-inflammatory properties, both of which are good for preventing and getting rid of pimples. Besides drinking it, you can use green tea as a face mask. Mix a cup of cooled tea with raw honey and apply it on your face for 20 minutes. Do this at least once a week. Lack of moisture is also one of the reasons why people get pimples. When your skin is too dry, it releases more sebum which, in excess, can create acne problems. 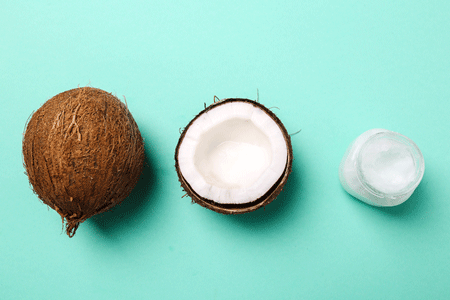 Coconut oil is a great hydrating agent that is not only good for your body, but your skin as well. Apply ¼ teaspoon of coconut oil on your face and neck daily. Wipe off the excess so that it doesn’t make your skin too oily. Aloe vera kills germs, soothes the skin, and helps repair damaged skin cells. On top of that, it can help tighten your pores so that dirt and bacteria won’t be able to clog them and produce pimples. 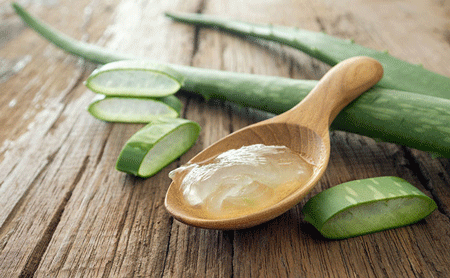 Cut a piece of aloe vera and apply directly onto the affected area. Do this once every few days for better results. Before you start using any of these home remedies, consult a dermatologist or doctor to find out if you’re allergic to any of these natural products first. Everyone’s skin condition is unique, so it’s best to determine yours before using any product, be it natural or synthetic. Cosmetics can only do so much – it’s good skin that plays the most important part in helping you look presentable. Beautiful, flawless skin is something everyone would love to have. Some people invest a lot in skin products and treatments to keep their skin healthy, while others choose to rely on home remedies like organic homemade masks and using rice water as facial wash.
We’re not just talking about candy and sweets; but canned or packaged drinks, the extra sachet of sugar you put in your coffee, and even your granola bars. According to a dermatologist, refined sugar makes your skin more brittle, which means they’ll age faster. We sometimes have one too many drinks, especially on a Friday night or eve of a public holiday. You might want to put that fourth glass of liquor down as too much alcohol can give dehydrate your skin, causing it to look saggy. If your after-work activities involve only Netflix and chill… your skin might be suffering from that lifestyle. People who exercise regularly tend to have better skin. It’s found that exercising creates a substance that slows down skin aging. That’s why active people usually have soft and supple skin. Yes, overdoing it can damage your skin instead of protect it. Using too many products on your skin is never a good thing. Your skin needs the natural oil it produces to stay supple and firm. Cleansing your skin too much will strip it off these oil, leaving it dry and could easily cause wrinkles. We know that sometimes you can’t help it – that proposal is due tomorrow. It’s all work. Try not to make sleeping late a habit. It doesn’t only make your body tired, it makes your skin tired as well. Sunscreens are not just for your beach holidays. Let’s not forget how hot Malaysia can get, especially during the dry season. It’s known that too much direct UV exposure can age your skin. So make it a habit of applying at least a thin layer of sunscreen on your face, arms, and legs before you head out. Not only are they high in sugar, some are high in trans fats, salt, and preservatives. These are known skin-aging agents which also cause skin inflammation. Stick to fruits, vegetables, and unprocessed meat for your meals. Make sure that each meal is a balanced one too! Remember: having the best skin products and regular facial treatments isn’t enough. You need make sure that you’re eating and living well, because these are the main things that will affect your skin’s health. The culprit responsible for your skin breakouts could be closer than you think. We need it everyday and most likely can’t live without it. We’ll look for it first thing in the morning, bring it together to the toilet and it’s the last thing we bid goodbye before we sleep. The culprit is our precious smartphones. Our phone is the last thing we would think of as the cause of irritable pimples and ugly blackheads. We know for a fact that acne is usually caused by bacteria, clogged pores, dead skin cells, and excess oil production by our skins. So how does these relate to smartphone usage? A 2010 study found that the average smartphone contains 18 times more harmful bacteria than a public toilet in the UK. In other words, you’re pretty much dipping your fingers into a toilet bowl every time you use your phone. Now, think about where you put your phone closest to when there’s a call… That’s right, these harmful bacteria are easily transferred to your face, infect your clogged pores, and develop red bumps. Where do germs come from? Let’s all be honest and admit that, for at least once in our lives, we’ve brought our phones with us to the toilet. Even if you’re not scrolling through Facebook or Instagram in the cubicle, there’s still a high chance that germs like salmonella can get to your phone. This is especially the case if you flush without closing the lid. Those with a habit of using their phones during meals are also exposing their phones to food particles and oil. Food particles will eventually decompose, which will result in your phone being really unhygienic. Don’t forget that our hands also help transmit bacteria and dirt from other areas (tables, chairs, dirty towels, etc.) onto the touchscreen. One research even found that 82% of hands are covered in bacteria. They get dirtier when we fall sick too. Is there a way for us to keep our phones and faces clean? Lucky for us, there are a few ways we can clean our phones before we use it for calls. You’ll need antibacterial wipes made specifically for cleaning electronics. This is because normal wipes contain alcohol, which isn’t gadget friendly. Give your phone a thorough wipe daily, focusing on the common areas such as the screen, the sides, and the home button. Besides that, you should also make the effort to keep your hands clean before using your phone. It’s good to have a hand sanitiser with you so you can clean your hands wherever you are. Last but not least, just keep it away from the toilet. It’s for your own good. Acne problem bothering you? Chat with any of our skin specialists on Teleme! Drop a message to your preferred specialist at anytime and anywhere about the problems you’re facing. Your doctor will get back to you as soon as they’re online with professional medical advice, and prescribe the necessary medication if needed. Start talking to your skin specialist listed below now.